Fracking and Solar: Friends, Foes or the Bridge to Clean Energy Adoption? 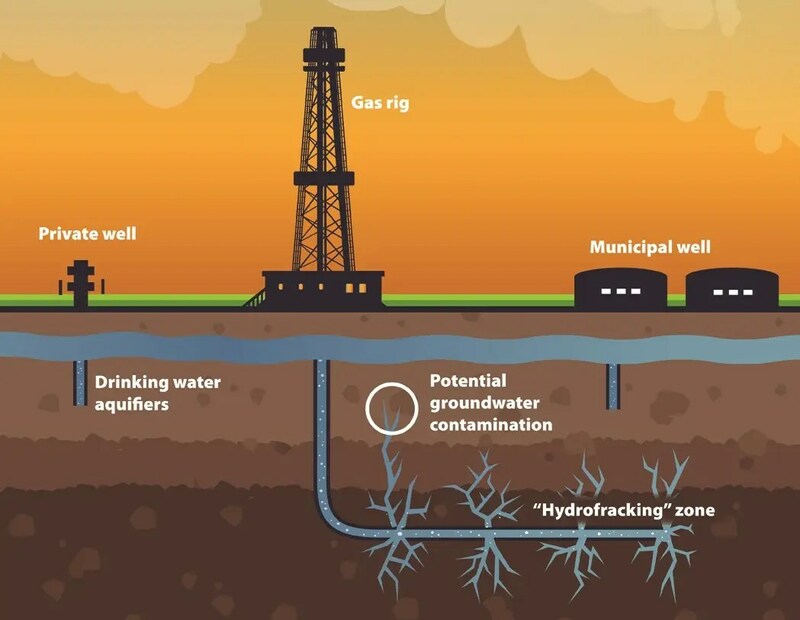 Hydraulic fracturing or “fracking” has been widely criticized by environmentalists who cite concerns with water pollution and methane leakage from this high-volume method of extracting natural gas. However, the burning of natural gas is undoubtedly better for the planet than the burning of coal. Some experts are now saying that—toxic chemicals and contaminated water aside—fracking will facilitate our transition to a clean energy future. It’s an interesting debate that has been gaining momentum in recent months. A report by Citigroup fueled the fire when analysts indicated that shale gas (a natural gas trapped in shale formations) is not only “complementary” to renewable energy, but is “in many ways essential” the widespread adoption of wind and solar power. The logic behind this theory, the report explains, is that wind and power are still intermittent energy sources and require a secondary power source that is able to go online and offline quickly (providing “peaking power”). Natural gas fills this role well. As renewables become more prevalent, they steal demand from the baseload power that provides continuous energy—a role traditionally filled by coal-fired power plants. But the baseload plants don’t have the ability to go on and offline quickly, so as demand decreases more coal plants will be shut down. Therefore, natural gas will be called on to provide both baseload and peaking power as renewables gain momentum toward mainstream energy. Some experts believe that in the long-run, natural gas will become more expensive and unable to compete with solar energy, which is approaching cost-equality with other energy sources. As the grid becomes more robust and energy storage increases, natural gas will be phased out—by the year 2050, predicts Ernest Moniz, President Obama’s choice to lead the Energy Department. Until then, Moniz says natural gas will act as a ‘bridge’ from fossil fuels to clean energy. “In broad terms we find that, given the large amounts of natural gas available in the U.S. at moderate cost … natural gas can indeed play an important role over the next couple of decades in economically advancing a clean energy system,” Moniz said in a testimony on the Future of Natural Gas. Citi analysts report that it will take a significant amount of natural gas to make wind and solar power the primary energy sources. This high-volume extraction depends on fracking, which cracks the rock layer deep underground to extract shale deposits filled with natural gas that were inaccessible by conventional drilling. Fracking supporters praise its economic benefits and its aid in moving the U.S. toward energy independence. Critics highlight the drinking water contamination, air pollution and inherent danger—a house exploded in Ohio after methane gas seeped into its water well. Aside from being highly flammable, methane gas is the second most prevalent greenhouse gas and 21 times more powerful at warming the atmosphere than carbon dioxide. However, the Environmental Protection Agency (EPA) estimates that the methane levels released by fracking are lower than originally believed due to stringent pollution controls. After studying the impact of fracking on solar, researchers at the Massachusetts Institute of Technology (MIT) say: foe. They predict that the natural gas boom will limit the expansion of renewable energy, and comprise a third of the electricity market by 2050. That’s a far cry from being phased out completely. Because fracking has led to an abundance of shale gas (which comprises a quarter of all natural gas production in the U.S.), the price of natural gas will remain low for decades, making these plants more attractive than wind and solar, according to the report. “While treating gas as a ‘bridge’ to a low-carbon future, it is crucial not to allow the greater ease of the near-term task erode efforts to prepare a landing at the other end of the bridge,” states the MIT study. This entry was posted in Natural Gas, Renewables. Bookmark the permalink.